This run (designed to fit both the Kent Coop and Dorset Coop) is made from the same high quality wood that we use in all our coops. 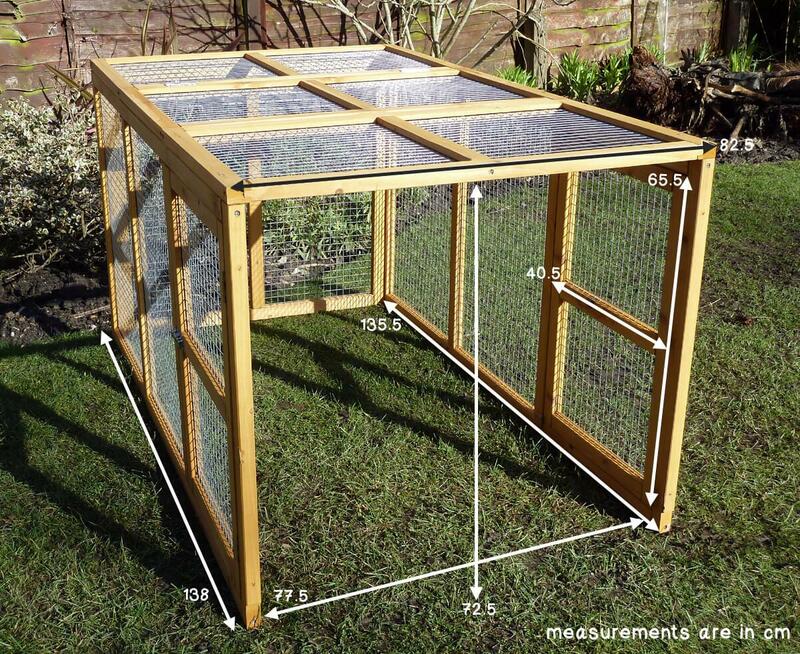 At 137.5 cm in length and 82.5 cm wide the run gives your hens over 11 square feet of run space. The versatile run has two large doors on either side making it easier to access the internal area from any side - whichever is more convenient for you at the time. Accessing all areas of the run is an important feature we wanted to have so we added a large lift up roof which can be folded back giving you easy access to the end of the run. The large folding roof panel can be securely closed when it is not in use thanks to a heavy duty metal latch. 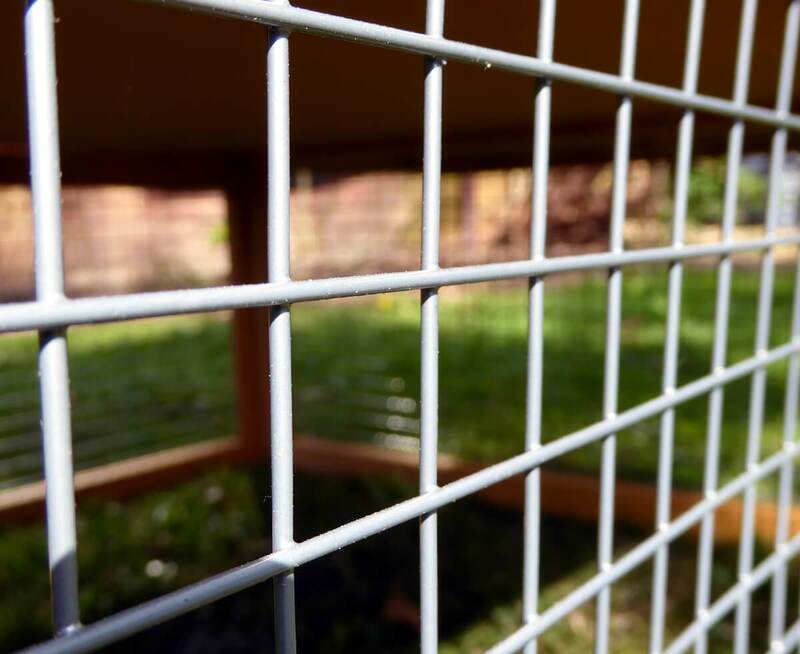 The chicken run has also been fitted with a higher grade type of wire mesh. In fact, the heavy duty wire mesh is 50% thicker than many of the other online suppliers. This increase in quality and thickness gives you peace of mind in knowing that this is a more fox proof run. The heavy duty wire has also been set into the wooden framework which adds to the rigidity of the run structure. We have designed the Kent and Dorset Run in such a way so that it is now possible to attach two, three or even four units together to create one extra long run. Two large double lockable doors - easily access the run from any side, great for a quick water change. 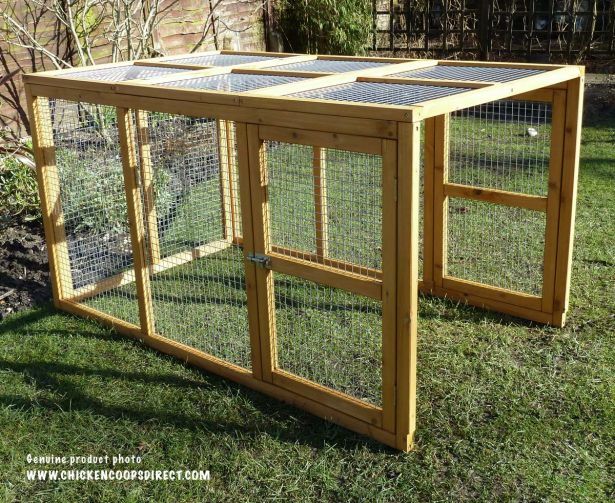 It can be attached to your coop with screws or pushed up against it - this lets you decide if you want a permanent run or one that you can move. High quality woodwork with strong joints and screws - means that this hen run won't fall apart if you move it around. Easy assemble instructions - all you need is 10 to 15 minutes of your time. Comes flat packed in one easy-to-lift box. Our runs use 1.5mm thick wire supported by a strong 35mm x 25mm timber framework. Box 1: 142.5 x 86 x 12 cm @ 16kgs. 1. Can I join a single Dorset Run onto the one I already have? Yes, you can join as many runs together to form as long a run as you like. It's just a matter of leaving off the square end panel on the run that is joining the one in front. The Dorset Run comes with all the necessary screws and instructions to do this. It quite straight forward. 2. How does the run attach to the coop? Screws are supplied to secure it to the coop but you can just leave it pushed up against it if it safe to do so. Some customers use these hook and eye latches which allow you to secure the run to your coop for security and then simply unhook the run if every you need to move it. 3. Is the wood treated? Yes, the Dorset Run comes with a base coat treatment of wood preservative. As with all outdoor wooden structures in our harsh climate, we recommend that the timber be treated on a regular basis to ensure a long life. There are many popular products available with Cuprinol, Ronseal and Wilkinson amongst the better known brands.A lot of customers use and recommend these: Brand Option 1 or Brand Option 2. 4. How do I purchase a Double Dorset Run? The double Dorset Run is simply two single runs joined together with the end panel of one of the runs left off. If you wish to purchase the Double you just need to order 2 x single Dorset Runs. 5. Is the Dorset Run fox-proof? 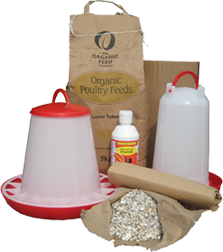 We would like to think that our coops and runs are made to a higher standard than most other suppliers in this price range. While we have purposely used thicker, sturdier wood, wire and locks with the aim to make it as safe and secure as possible for your chickens we cannot absolutely guarantee that foxes and other predators won’t try and target them. Foxes are by far the biggest threat that your pets will face so if you are going to keep your chickens then we also urge you to take these added precautions especially if you know you have foxes in your area.